MetaTrader is a widely used platform and trading software. The platform is prefered by daytraders both for its ability of managing the actual trading account, including placing orders directly from any stationary or mobile device, and the live screening of the selected underlying. The actual software provided by MetaQuotes consists of a server and a client component. The server component is licensed to brokers who in turn equip their customers with the client software. Therefore one has to hold a ​brokerage account with a broker to use MetaTrader. It is then possible to screen the particular stocks offered by the broker directly in the MetaTrader platform, and place orders on them, which in turn are directly charged to the attached personal trading account. One of the crucial features of the platform is the possibility for traders to script their own bots to automatize trading – so called `Expert Advisors´. Which features come with MetaTrader? Since the platform is quite user-friendly while providing traders with a wide choice of different features, it is suitable for beginners, but also advanced and professional traders. Beginners may start using a demo operating with virtual money, getting to know the platform and the trade-able market via a demonstration without risking real money. Since one should know the platform’s functionality well before putting money on the line, it is a pretty good idea to start with a demo account. Despite being easy to handle and convincing with smooth usability, MetaTrader is not a beginners' platform. It comes with all the tools any professional trader would need to both screen the market and place his orders. Therefore, it makes sense to practice first using the platform itself and then go on discovering the different features of the software. Once a trader has practiced the use of the features there is no need to switch platforms anymore. This makes MetaTrader a reliable software to start trading with and go on using as a seasoned trader. 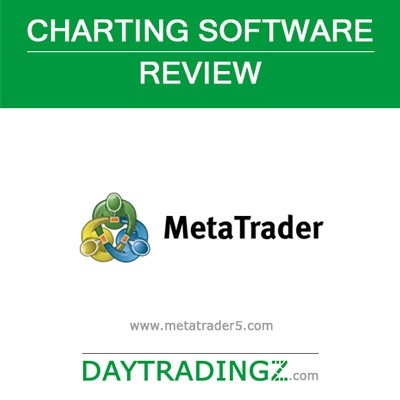 While MetaTrader 5 is the latest version distributed by MetaQuotes Software, the previous version, MetaTrader 4, is still widely used by providers due to compatibility issues between both MetaTrader 5 and MetaTrader 4 and also between MetaTrader 5 and the software modules by trading providers. The main difference between both versions is that MetaTrader 5 does support more assets being traded directly from the platform. 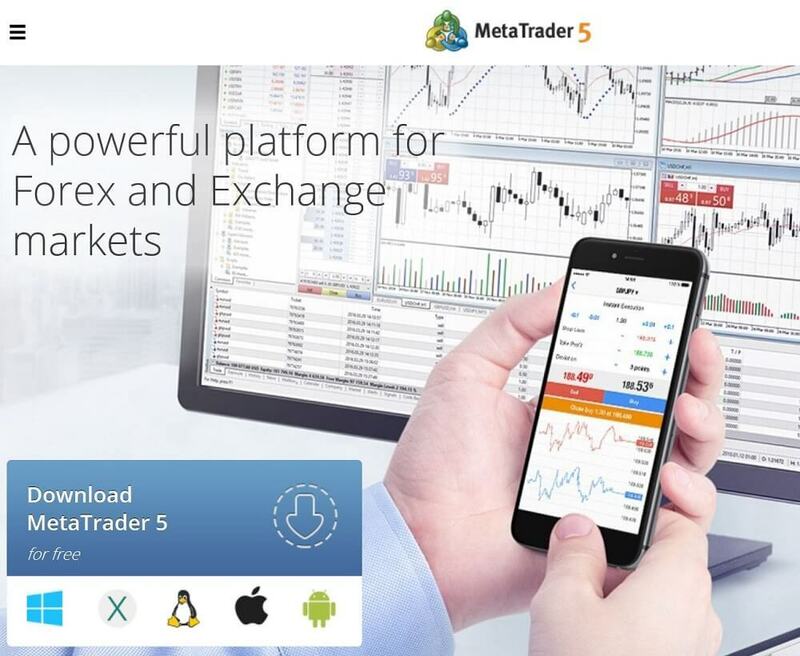 Whereas MetaTrader 4 was mostly designed to trade foreign exchanges and CFDs, MetaTrader 5 supports also stocks and commodities as trade-able assets. Since many brokers are especially focused on the Forex market without offering stocks at all, there is no need for them to upgrade to MetaTrader 5. The user interface of both versions is pretty similar. Very reasonable, because traders don't have to get used to a completely new interface after upgrading. Regarding the features included in both versions, one will recognize the wide range of trading indicators that support the trader working directly on the chart. Beyond the standard indicators, such as commonly used MACD, Moving Averages, Stochastics etc. there are some nice-to-have features, and many additional functions one learns to appreciate over time. Each and every underlying can be watched in different default time frames that may be switched with one click. The time frames range from monthly to one-minute charts. Depending on the traded asset, the smaller time frames are very important every once in a while, especially when it comes to news or announcements at the financial market. Just as easy as switching the timeframe is switching between the different assets on your watchlist. A nice feature is that settings adjusted to a particular asset remain saved for it, meaning you don't have to switch time frames, used indicators etc. All of them are perfectly adjustable to the individual needs and trading styles. The usability of the indicator features among the best there are. More professional users may import their own indicators and adjust them as well. This makes the platform highly customizable. Through its clever default settings and the good graphic demonstration of the charts, even beginners have a pleasant experience using the platform for the very first time. Besides offering many indicators, the platform also uses the common tools to draw and make notes directly into the charts. As most of the charting softwares, the presentation of the chart can be adjusted as line, candlebars, Heikin Ashi and other commons. Unlike many other charting platforms, MetaTrader tracks your trading activity very precisely, which makes it unnecessary to switch between the charting software and your trading account. Furthermore, the platform tracks your whole trading revenue and provides you with information about each and every trade – including opening and closing price, total equity, total balance, margin rates and many more. The software has become very popular for the adept way of using so called 'Expert Advisors' – software solution that can be imported directly into the platform for automatized trading. Thus far, MetaTrader claims to be the best platform for trying and using automatized trading strategies on many different underlyings. Together with the precise tracking of your trading activity, it makes a well-equipped strategy-testing software, either for fully automatic trading or for just going through past-time activity and especially past-time chart data to see if a strategy would have worked in the past. Once a trader is capable of using MQL programming language, it is even possible so socialize with other traders all over the world and sell self-developed Expert Advisors. A remark on the side: of course, one should be aware that even the best-looking revenue chart does not guarantee future revenue, for strategies may fail due to a multitude of reasons. Usually MetaTrader is provided with a trading account with a particular broker – without any additional costs. So traders have to check if a broker does supply MetaTrader. But since it is one of the most popular trading platforms worldwide, most brokers include it in their offer. Many brokerage providers offer their own trading software additionally. Compared to NinjaTrader the licence model is a bit different. NinjaTrader clients have to pay a one time fee or rent the software if they want to connect their broker with the trading software. Downloading MetaTrader from the MetaQuotes website is absolutely free of charge. MetaTrader is one of the best trading platforms due to the fact that it is suitable for beginners as well as advanced traders or even professionals. The simple-to-use interface supports the trader while screening the market, allowing him put fast orders and react to market conditions properly. Without dazzling the trader with an overload of flashing tools, graphics and colorful features directly on the screen, there is an enormous range of possibilities well integrated in the software. MetaTrader does support trading excellently with many useful tools, without distracting the trader by too many graphics and non-essential features. This makes it suitable for most trading styles and strategies. Additional features are the usage of automatized trading robots, after taking them through the acid test with the software's own back-testing tool. What is disappointing is that the backward compatibility of MetaTrader 5 to version 4 does not work properly. Nevertheless, using MetaTrader 4 for trading Foreign exchanges and CFD markets still functions perfectly well. Once usage is mastered properly, which should not take too long, thanks to the clear and tidy user interface, the software meets the demands of almost every trader.